As the third month of the year begins, the UK winter turns to spring, but it is still a while until higher temperatures return. Here, we reveal where to holiday in March. With stunning beaches and glorious coastlines teamed up with a hugely interesting history dating back thousand of years, Tunisia is one of the best places to visit during the month of March. Sitting at the most northern part of the African continent bordering the Mediterranean Sea offering the best of both worlds with the African climate and culture but only a 5 hour plane journey to Tunis from the UK it feels like a whole new world! March offers low rainfall and mild temperatures making it perfect conditions to relax on the beach whilst also visit the many historical sites and ruins this country is famous for. Tunis the capital city is home to some historical and architectural buildings that hold a very unique style which gives you a real taste of Roman Africa and the influence from across the pond in Italy. There are a number of Roman sites that hole great history and can’t be found anywhere else in the world along with a number of beautiful mosques and buildings influenced by the Islamic parts of the country. 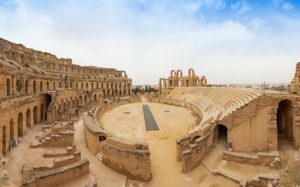 Make sure to visit the impressive UNESCO World Heritage sites of Phoenician and Roman Carthage which again holds a hugely interesting history. There is much more to Tunisia then historical sites, it is also home to a number of beautiful beaches located on the northeast coastline. Djerba is home to a number of stunning beaches and resorts including one that comes highly recommended – Club Med Djerba La Douce set among the dazzling Tunisian enviroment contact one of our team to make huge savings on this luxurious all inclusive resort. Visit Sidi Ali El Mekki and enjoy the calm waters of the Mediterranean while relaxing on the beach. Autumn in Argentina has a number of advantages which makes it the perfect place to visit during this time of the year. Temperatures during March tend to be hot but not too hot, which allows you experience this vibrant and naturally spectacular country at it’s best. Visit the cosmopolitan capital Buenos Aires with it’s unique combination of European and Latin influence takes the heart of many people who visit here. This city has a lot of characteristics which you cannot find anywhere else, people here go at one hundred miles an hour and this shows in most things you can find in the city especially the night life. Explore the cities secret bars and check out the vibe at one of the city’s many cultural centre’s or take one of the many tango classes on offer and leave with a new talent for life. Mendoza is a spectacular part of Argentina and during this time of the year you can expect to see it at it’s most beautiful, this is thanks to it being autumn with the leaves of the trees turning red and brown adding to the beauty. It’s also harvest season, which triggers the timing of the wine festival in the region with Mendoza being the region where most of the Argentina’s famous wines come from, and with Argentina being the fifth largest wine producer in the world you can imagine the quality of the wine coming from this area. 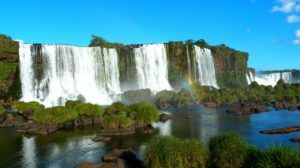 Argentina is also home to one of the worlds natural wonders – Iguazu Falls, a series of magnificent waterfalls on the border of Brazil. Take in the sheer size of the falls and embrace the sound of the water as it plunges eighty two metres down into the Iguazu River. Set among some lush forest providing beautful landscapes and home to a large population of exotic wildlife. March is the dry season in Burma with temperatures a lot cooler than the rest of the year making it the perfect time to visit this magical and mysterious country. It is also the start of the low season for tourists visiting Burma therefore the popular sites and landmarks aren’t as crowded which makes a huge difference. Having recently just opened up to tourists it lacks the infrastructure other South East Asian countries have so we believe the best way to see this captivating country is on one of our escorted tours and we have plenty on offer for you to book today. 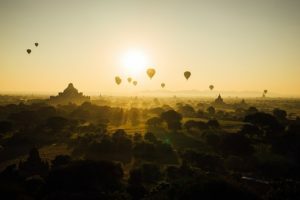 Burma is known to be one of the hidden gems of South East Asia, with it providing a very unique experience that people say is like Asia of old. This is thanks to it’s untouched historical monuments such as the world famous temples of Bagan – a selection of up to 250 pagodas dating back almost 2000 years.. For a real magical experience try and get to these temples for sunrise or sunset for some incredible views of for what seems to be endless amount of pagodas all creating a real spectacle. If that isn’t a good enough view then why not up it a level on a hot air balloon in which will provide views hard to beat anywhere in the world. Burma also has a lot of natural beauty to partner it’s historical landmarks and the most notable being Inle Lake– a vast serene freshwater lake as far as the eye can see up to 14 miles long and 7 miles long you can imagine it is somewhere you just have to experience yourself to really understand it’s magic. The lakes surroundings are made up of a number of hill side towns which are home to a huge minority of different cultures and walks of life each bringing their own culture to this mysterious place. People tend to take the traditional method of viewing the lake being the traditional leg rowing boats which glide through the water giving you the chance to take in the peace and tranquility of the lake. Among other popular areas of Burma are Yangon home to a huge 95 meter pagoda made of gold towering over the city along with a number of other temples and some famous markets in which are ready to explore. Mandalay is located in the north of Burma and is set on the Irrawaddy River and is home again to a rich history which dates back as far as 2000 years with a number of historical landmarks sure to keep you busy.